Home online deals MCCAFE Premium Roast Coffee, K-CUP PODS Stock-up Deal! 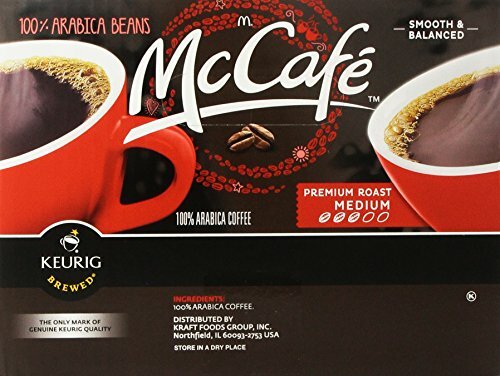 Hurry and get the MCCAFE Premium Roast Coffee, K-CUP PODS, 84 Count today for as low as $33.11 Now $20.34 when you clip the 10% off coupon, choose subscribe & save, and have at least 5 subscriptions in one month! Thats just 24¢ per K-Cup – AWESOME (way less than my 40¢ or less stock-up price)!! You may be able to save even MORE If you have never ordered from “kitchen” before. Use Promo Code: L5TSKIKXV5FK to save $5!! There is no commitment with Subscribe & Save. You can cancel at any time! Plus, get free shipping!! Details here! If you choose a 1-time purchase, you’ll pay just $27.12 (32¢/K-cup). Amazon Prime members get FREE 2-day shipping!! If you are not a Prime member, get FREE shipping when you purchase $25 or more of eligible items across any product category. From the Manufacturer: McCafe family of premium coffee. Our unique flavorful blends are made with 100% arabica beans and carefully harvested from the rich soils and mountainous regions of the foremost coffee-growing areas. Buy the MCCAFE Premium Roast Coffee, K-CUP PODS, 84 Count at Amazon.As always, Amazon Prices can change quickly. If the price is up, the deal is simply over! Previous article(Wipes Deal) Cuties Sensitive Baby Wipes Unscented, 600 Ct.